This 3-tier storage rack is designed with 3 storage baskets and a top open storage space. The drawers slide out easily. This storage rack is absolutely perfect for any limited spaces like small bathroom, living room, dining room or tiny apartment. It's gorgeously crafted and also super sturdy. With 3 baskets, you have a great storage space for your toiletries, hair dryer, flat iron, hand towels & washcloths, cotton balls, medicine, sunscreen, additional tubes of toothpaste, headbands, face creams, & tampons, etc. In addition, on the top you can also put a box of tissues or some books. It is a great piece for any home decor. 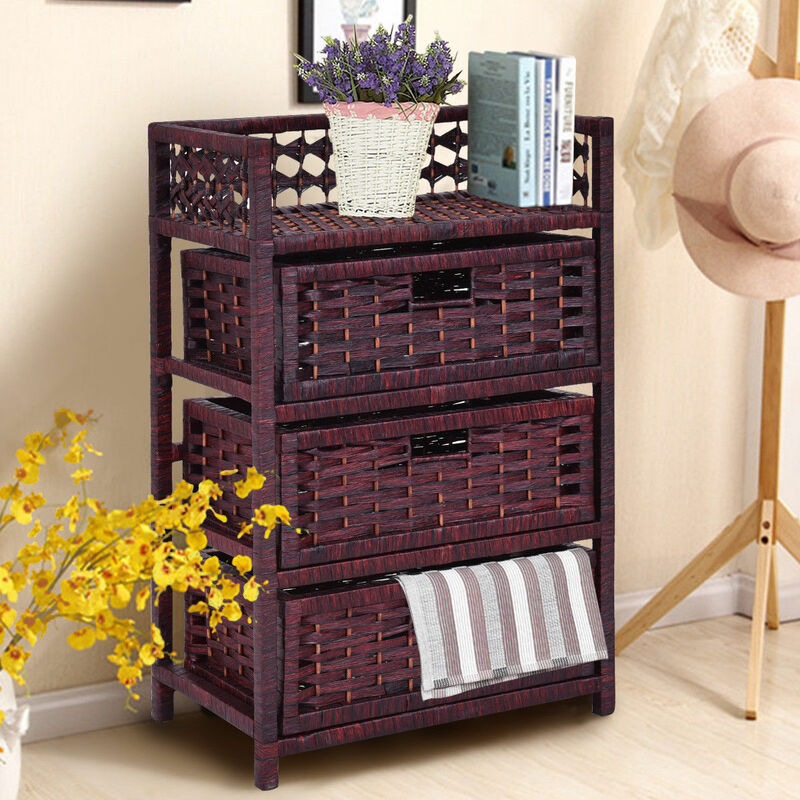 Home territory searches the web to find the best prices and availability on Wicker and related products foir your home like Costway 3 Drawer Storage Unit Tower Shelf Wicker Baskets Storage Chest Rack. For this page, related items include products we find that match the following keywords: "Wicker" at our vendor partner Walmart - Click More Info / Buy Now to check for price rollbacks!. Costway 3 Drawer Storage Unit Tower Shelf Wicker Baskets Storage Chest Rack is one of 91 Wicker and related products available for sale through HomeTerritory.com, If you have any questions on this product, please give us a call at 734-971-1210 during the hours of 9am - 5pm EST for assistance. Thank you for shopping at Home Territory, the home furnishings superstore!